AD INFINITUM - Supplying the Best 3.5mm Synthesizer Patch Cables in the World! 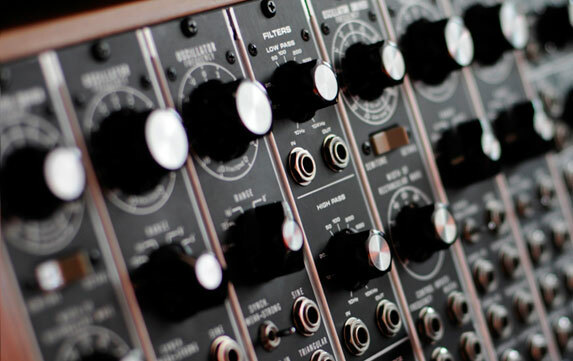 Ad Infinitum Music was established in 1996 with the introduction of a series of 3.5mm format synthesizer modules and a small line of 3.5mm patch cable solutions. Do to the overwhelming response to the high quality and value of our cables, we have grown to provide a large selection of colors and lengths that provide extremely versatile patching solutions, enabling easy setup and use for both live performance and patch development in the studio. UM410 MultTen four-way 3.5mm multiples grouped into pairs..
UMM402 MixerTwo four-way 3.5mm multiples with a passive mixer/attenuator.